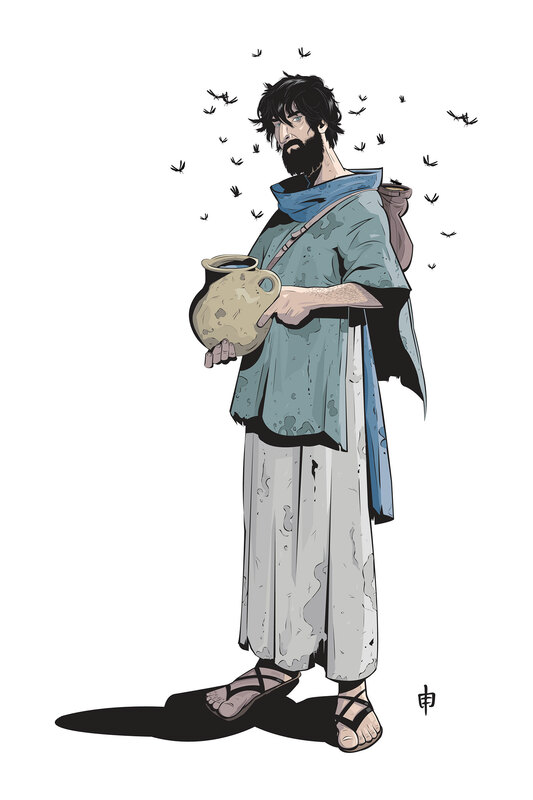 CHARACTER DESIGN - "John The Baptist"
Here is the finished painting for the Character Design for JOHN THE BAPTIST, from my 5 Books For God, and "THE FOREVERMORE WAR" series. 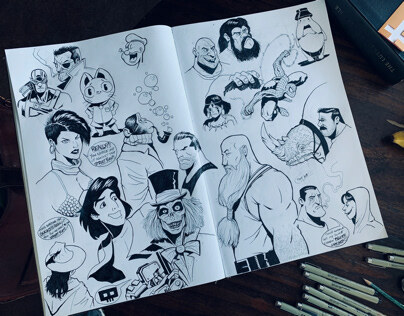 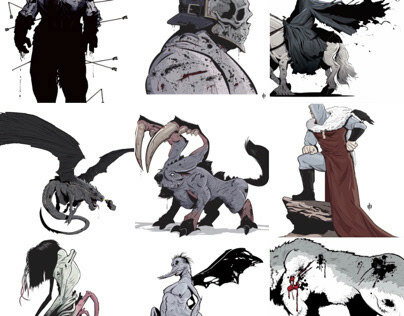 In my books you will see your favorite Bible characters, just in a way you've never seen them before. 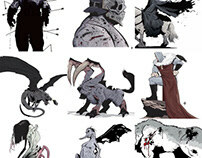 Finished coloring and painting for the character design for "JOHN THE BAPTIST". 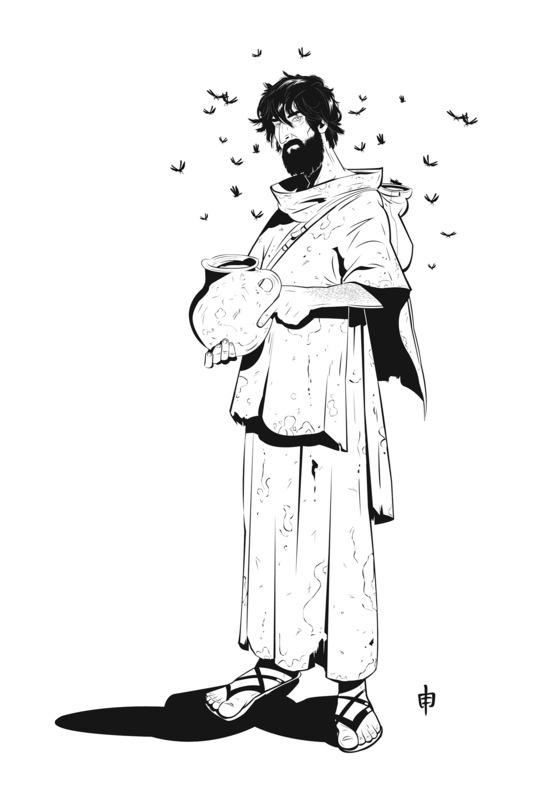 Finished inks for the character design for "JOHN THE BAPTIST". 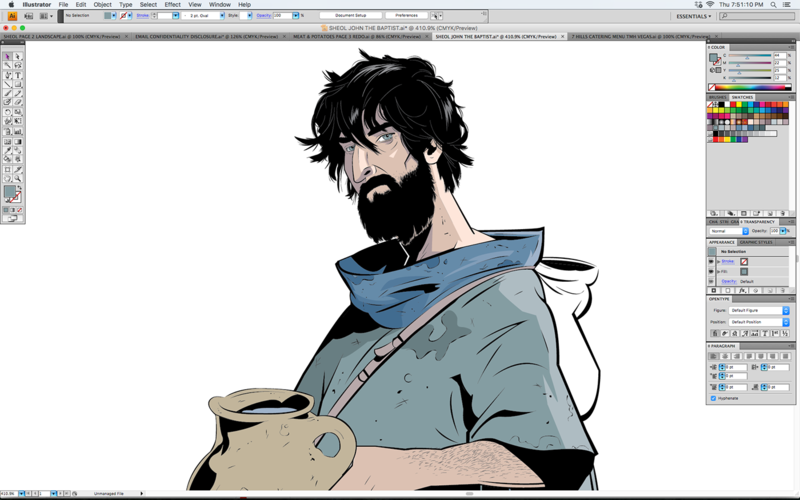 Digitally coloring "JOHN THE BAPTIST" in Adobe Illustrator, all vector art.